There has been an Elementary School on School Road since the 1950s. When it was inaugurated in 1953 it was known as the "New School" because there had been an "old school" in Topanga Canyon since the 1920s. 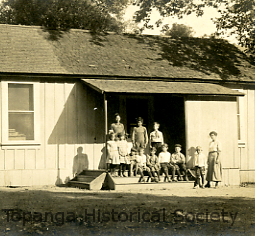 The "old school" site is part of the building that is now "Froggy's" on 1105 N. Topanga Canyon Blvd, and had been originally built in 1925 as the canyon's elementary schoolhouse. 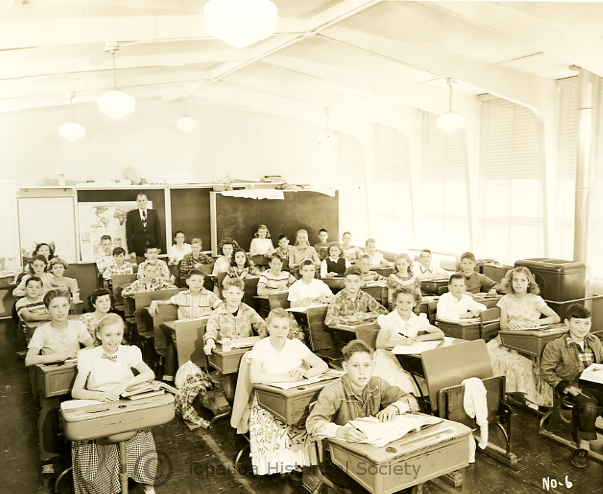 Before that there was the "Little Red School House", which was situated at Greenleaf Canyon and Topanga Road, educating canyon kids since way back to 1903. 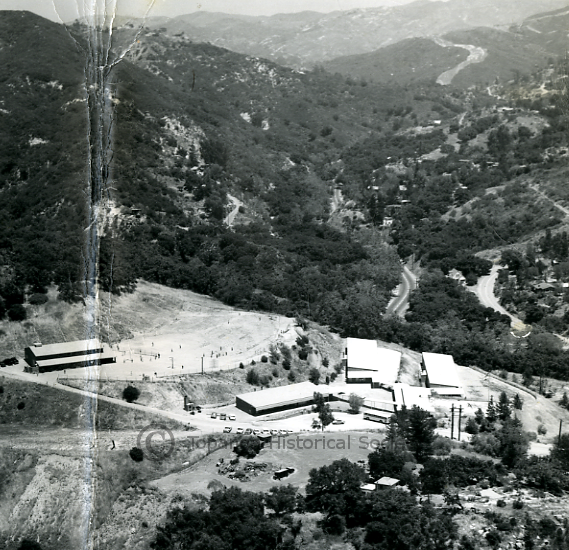 In 1951, when the eight acres that was to become the site of the new Topanga Elementary School was purchased, about four acres of the land was preserved as a nature reserve. This nature reserve is now the backbone of the science program that is an integral part of the Topanga Elementary Charter, (see "science" for more info). There is a wonderful outdoor amphitheater above the upper playground and a formal Nature Trail that was built in the 1980s, in collaboration with parents, classes and Eagle Scouts. 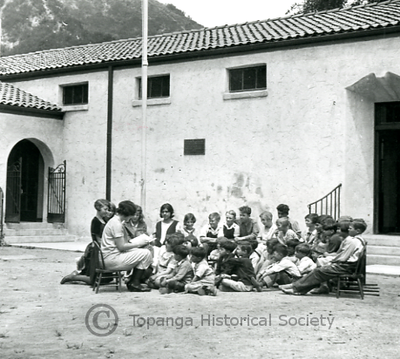 Photos published with the kind permission of Topanga Historical Society.